Polish that bowling ball, deodorize those bowling shoes, and get your team together to join us for the 1st Annual St. Augustine Bowl-a-Thon! There is a maximum of 4 people per team. Registration fee is $20 per bowler if paid in advance and $25 per bowler if you pay on the day of the event. Registration fee covers your bowling (and shoes if you need ‘em). Don’t have an entire team? Don’t worry! Just sign up as an individual bowler and we’ll place you with some great people. We will need your help to raise some money for St. Augustine! We ask that each bowler raise at least $50 in donations to help us reach our goal of $15,000. These donations will go to helping ST. AUGUSTINE Medical families. Get noticed by sponsoring a lane! For as little as $300 Sponsorship, your company name and logo will be displayed at the end of the lane, and your company logo will be posted along with your donation on our event on the Bowlathon.net website. Click Here to become a Lane Sponsor. To join us as a bowler, you can Create a Team or Sign Up as a Bowler to join a team, or we can assign you to a team in need of bowlers. Once you are registered to bowl, start collecting pledges to earn terrific awards while attaining donations for this very worthwhile cause! Ask friends and family to sponsor you for a flat fee per game. Three games will be bowled. Get your “bowl on” with friends and family while helping us raise critical funds to support programming for the at-risk Family we serve!! This year, we, start at 4:00pm. Just Ask. Don’t be afraid. Ask people to “help you support families struggling with chronic illnesses.” Ask everyone: family, friends, neighbors, co-workers, your boss, hairdresser, dentist, or doctor. Remember that your friends and family want to support you, so don’t be shy! Share the Event. Share ST. AUGUSTINE Bowl-a-Thon information with your friends on Facebook. Ask them to donate, bowl or volunteer! Talk to your employer. Many employers sponsor matching gift programs to match charitable contributions made by their employees. You may be able to double or even triple your gift to ST. AUGUSTINE Medical. Encourage your team members that if they ask for $10 from 10 people, they will have raised $100 for ST. AUGUSTINE Medical! Together we can make a difference in other less fortunate people’s lives. 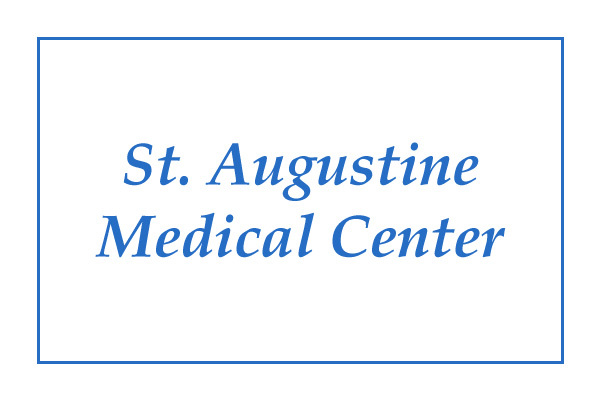 What Is St. Augustine Medical And Research Center? Our Headquarter is located in Arizona. The free medical clinics offer treatment to uninsured and under-insured citizens. We are filling a void in the existing medical network where it is challenging to satisfy requirements of low-income citizens without insurance. Medical solutions are provided with a network of volunteer physicians as well other medical professionals. At our medical centers, physicians can concentrate on offering care while lessening their management needs – i.e. they could deal with patients without fretting about the administrative side. St. Augustine Medical and Research Center is a 501(c)(3) nonprofit organization. For more information, visit our website at StAugustineMedCenter.org.